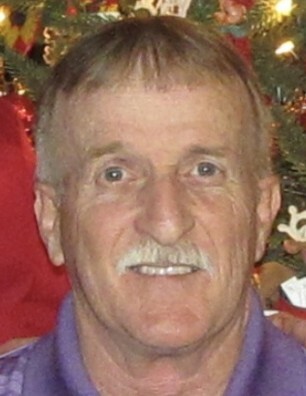 It is with great sadness that the family of Thomas H. Daniels, 71, known to friends as “Tommy” or “Tom”, announces his passing on Tuesday, January 15, 2019 following a brief illness. Born in Mullens on December 8, 1947, he was the youngest son of the late Dilmer T. and Laura Belle Daniels. He was a 1965 graduate of Pineville High School and a graduate of Bluefield State College, where he earned his teaching degree. Tom spent his entire career teaching math for the Wyoming County School system, where he inspired many students with his love of math, his “D’s way or the highway” attitude, and his humorous personality. Along with teaching, he also thoroughly enjoyed his second career choice as a coach. Throughout his coaching career, he assisted with 7th-8th grade football, was head coach of both boys and girls 7th-8th grade basketball, assistant for 9th grade boys basketball, and was head coach of Pineville High School Girls Varsity Basketball. While teaching and coaching, Tom proudly upheld his duty to the United States Military. During the Vietnam War era, he was drafted and served active duty, stationed at Fort Jackson, South Carolina. Several years later, he joined the West Virginia Army National Guard, being assigned to Headquarters Troop 1st Squadron 150th Armored Cavalry under the 77th Brigade Troop Command. 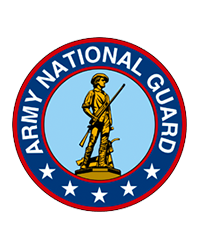 Primarily based in Welch, Bluefield, Charleston, and Glen Jean, he remained with the WV Army National Guard until his retirement as First Sergeant. Tom also dedicated many years as Municipal Judge in numerous towns including Mullens, Rhodell, Gilbert, and Sophia, and was the current Municipal Judge of Pineville and Oceana. Tom is preceded in death by his parents, Dilmer T. and Laura Belle Daniels; sister, Dilmeda Weston; brother, John Daniels; and his little buddy, Roxxie, family pet dog. Those left to cherish his goofy character are his wife, Lynell; daughter, Nikki; nephew, Morris Pettus, and wife Sherri; their children, Amanda Queen (Jeremy); Lori Leather (Tim); and Holly Pettus; sister-in-law, Marlene Daniels; niece, Tara Barnett (Scott); and their children, Meyrick and Jennilee; brother-in-law, Bill Weston; and a number of friends. Friends may gather and share their memories of Tom on Monday, January 21st from 5-8pm at Evans-Calfee Funeral Home in Pineville. Funeral services will be held Tuesday, January 22nd at 1 pm with Pastors Steve Acord and Silas Mullins, Jr officiating. Mr. Thomas H. Daniels will also be honored by receiving full military graveside rights conducted at Palm Memorial Gardens in Matheny following the service.